The UN Road Safety Collaboration (UNRSC) is an informal consultative mechanism – led by WHO – whose goal is to promote international cooperation on road safety, and to strengthen global and regional coordination among UN agencies and as well as international partners, including CITA. 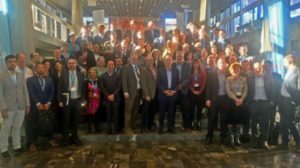 Last 3 and 4 October, about 80 members of the UNRSC representing governments, international organisations, NGOs and other groups agreed at the WHO Headquarters in Geneva to set out the next steps in global road safety. 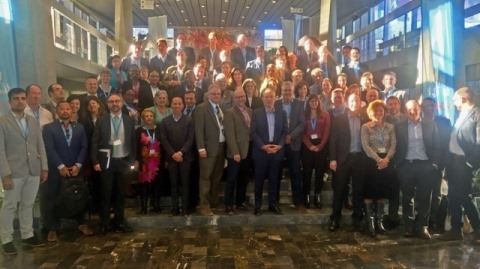 The discussions focused on the implementation of the UN General Assembly resolution 72/271 adopted in April 2018, including the planning of the Third Global Ministerial Conference on Road Safety, to be held in Sweden in February 2020, and the Fifth UN Global Road Safety Week on “Leadership for road safety”, to be hosted worldwide in May 2019. Participants also discussed the specific guidance and appropriate resources required to achieve the voluntary global performance targets for road safety agreed upon in November 2017. Mr Fernández, CITA Executive Director, reported on the initiative to ensure the roadworthiness of used vehicles in international trade. Moreover, the various project groups explored appropriate steps to be taken after 2018, as well as the approa-ching 2020 deadline for the Decade of Action for Road Safety 2011-2020 and SDG target 3.6. As the meeting came to an end, FIRE AID, a UK charity supporting global initiatives to improve post-crash care, was welcomed as a new UNRSC member.